"EVA group" Ltd, Russia artificial flavoring agents and car air fresheners production line is located in Moscow. All items are bottled, pre-packaged, labeled, sealed and packed right at our facilities. 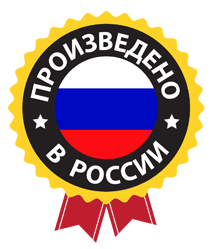 We work closely with the leading Russian manufacturers and chemical ingredients vendors. More importantly, we ourselves own compression molds for most of the products. The Company constantly improves the quality of its products and procures advanced high-capacity equipment, while searching for new materials and ingredients and developing new scents in cooperation with manufacturers. Such a multi-pronged approach allows us to constantly bring new products to the market, as well as present products based on the entirely new flavor carriers.